Hey, thanks for coming over to my blog. I feel like this is an important topic to make, since so many people waste their time and money when trying to lose weight through the mistakes that will follow here. I am only going to include a list of 5 of the main ones for now, I may add to this list in the future if I see any more that are worth talking about. You have probably heard it a million times if you have looked into losing weight before, nutrition is most of the battle. Some people will argue that up to 80% of how successful you are in losing weight comes down to nutrition. It is also pretty common knowledge that to lose weight, you must eat fewer calories. Seems easy right? and in the beginning it may be easy – you switch to “healthy”, low calorie foods and you start to lose weight for a while. Then it stops. You can’t seem to shift another pound. This is normal, your body has adapted so it simply means you need to change something to get that weight loss going again. Assuming that you are already exercising on a proper program, the only thing you can do is drop your calories further. However, you aren’t tracking your calories. You have no idea how many calories you were eating before, so now how are you supposed to know if you are eating the correct amount to lose weight again? You could try cutting out more food an see what happens. You may get lucky and start dropping weight again but eventually you will adapt and encounter the same problem. Without knowing how many calories you need to maintain your weight, there is no accurate way to ensure you eat the correct number of calories to lose weight at a healthy and sustainable pace. There are a number of ways to track your calorie intake and it is so simple now with technology. My recommended method, and the one I use with my clients is to use myfitnesspal. It is an online and smartphone app with a huge food database and barcode scanner that makes tracking nutrition so easy. 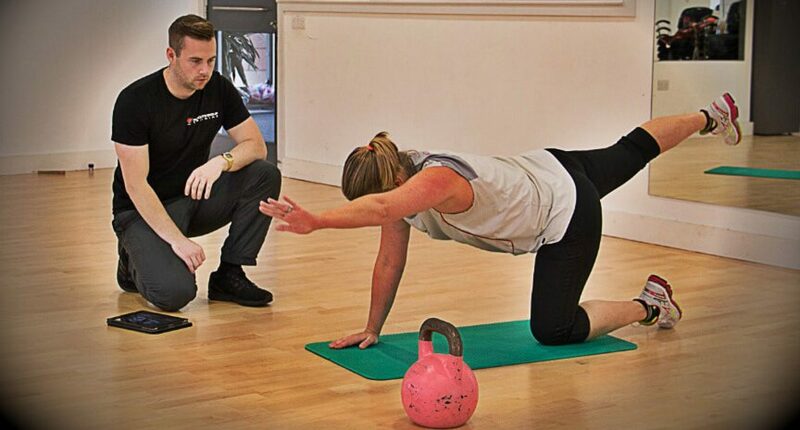 This is another common one with people who get a workout plan from their gym’s instructor during a one-off session or people who find a program they like the look of online. Just like your body adapts to the amount of calories you eat, as I mentioned earlier, your body also adapts to your workouts. In the beginning, you see some pretty decent results. But again, like the nutrition, it stops working. The reason that your workouts lose their effectiveness is actually down to how great the body is at adapting to whatever demands you put on it. You must constantly look to change the workouts in some way or another so that your body cannot completely adapt and is continually challenged. There are a number of variables that can be changed, some training philosophies will have you change only one thing from workout to workout, while others will change the entire workout every time you train. The main variables that you can manipulate n order to keep the results coming are amount of weight used, number of reps, number of sets, rest time, number of exercises, tempo of the exercise. I may have missed some off but those are the main ones. One thing to be noted, is that these variables must be changed with progression in mind. It would be no good just changing them randomly without any thought to whether or not you are actually making a workout harder. You could change the amount of reps but if that doesn’t lead to a more challenge workout, it is pointless. “What doesn’t challenge you, doesn’t change you” – A quote by somebody who I don’t know, but I have seen it floating around Facebook and the internet quite a bit and it holds true when talking about exercise. Weight loss should’t be a sprint. 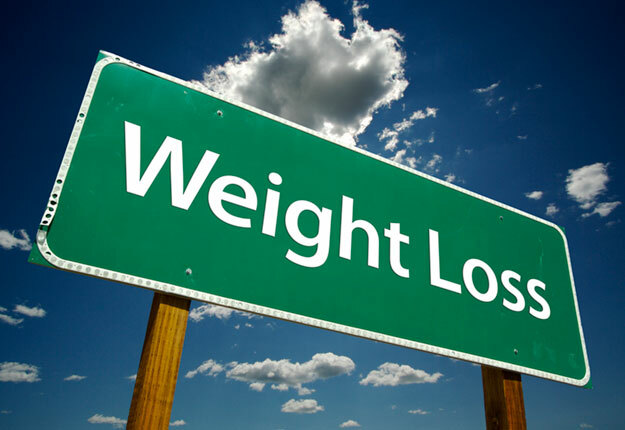 Losing weight too quickly, especially as a result of crash dieting, is a sure fire way to rebound weight gain. It is also a big stress on the body and could lead to further health problems in healthy individuals (there may be some medical cases where rapid weight loss is the lesser of 2 evils and may be necessary to help cure another problem). For most people though, on average, a weight loss rate of around 2lbs per week should be safe and sustainable. Now, this may vary from week to week but on average its a good rate to look at. Also, if you have quite a high amount to lose, you could get away with a little more than this. The reason I encourage this amount, aside from it being a healthier way to go, is that it will allow your new routines to become a lifestyle instead of just a flash in the pan diet for a few weeks. Those rapid, high weight loss diets seem like a great idea but they don’t allow for a lifestyle change. This means that as soon as you stop the diet, the weight just piles back on in most cases. The best way to go is to make smaller changes over time that yield consistent results. Results that stay with you for life. This way there will be no more yo-yo dieting or starving yourself for 8 weeks at a time only to see yourself regain the weight in 4 weeks after stopping. Kind of a 2 in 1 here. The first part is the cardio, there is nothing wrong with hitting the treadmill or the stepper sometimes but to be truly effective in your weight loss goals, you should be adding in some form of interval training. In a nutshell, interval or H.I.I.T training is a form of exercise where you elevate your heart rate to a very high level for a period of time before recovering a letting it drop down again. You then repeat this cycle for a given number of rounds. An example, and actually a great fat burning workout, would be hill sprints – sprint up hill for 15-20 seconds, walk down while resting for a minute then repeat 5-10 times. The benefits of interval training are numerous. For weight loss one benefit is time efficiency, most workouts would last around 15 minutes. Another would be what is called the afterburn effect, this is the term used to describe the fact that calories are burned even after you stop your workout. The body burns these calories since it is essentially still recovering from the demands of the interval training. This afterburn effect is exaggerated by some, but it does hold true, and who wouldn’t want to keep burning calories whilst watching Eastenders after your training session? The second part is to make sure you are incorporating resistance training into your routine. Using weight training helps to build a firmer, better-looking physique. It will also help build muscle, which makes fat burning even easier since muscle actually requires some calories to be burned throughout the day in order maintain it. Focus your resistance training around exercises that use a lot of muscles at once, like squats, deadlifts, presses and pull-ups. I am a big advocate of calories being the most important variable when it comes to weight loss. In fact, “advocate” sounds stupid, its just fact. Eat less calories, burn more calories and you will lose weight. However, I do feel that alot of people trip up because they lean too far towards the argument that all calories are processed the same. This may hold some truth for losing weight but I do believe there should be more to it. In order to feel and perform your best, your body requires a whole range of different vitamins and minerals. These should come from natural, unprocessed food. Fruits, vegetables, lean meats, nuts and anything really that had been either grown or killed. The vitamins and minerals contained in such foods help your body function, and if the body is running smoothly, it makes sense that it will be more efficient at burning fat as well. Aside from the nutrition contents of whole foods, they also tend to be much lower in calories than processed, packaged foods. This means you can eat more of them, feel fuller and not have to worry as much about over eating and ruining a diet. A good rule to think of when you are trying to decide whether something is a good choice or not is this: If it hasn’t been killed or grown, then its probably worth avoiding. There are some exceptions to this but, for the most part, it should help you make some better choices in the supermarket. That is all 5. Hopefully that list will help some of you avoid making these mistakes and get on the right track towards your goals. If you have any questions or would like to get yourself started on my personal training programs, you can contact me here now. Why not download my free meal plan to get you started on your nutrition right away, click the button below. ⟵Weight Loss Nutrition: Carbs, What Are They? Should You avoid Them?